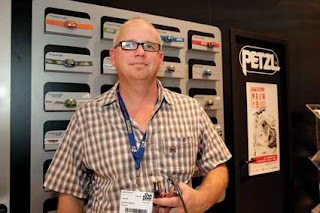 Petzl, distributed in South Africa by Eiger Equipment, has improved the power consumption on their headlamps and they claim their LEDs will now be anything from 30-50% brighter as they have upgraded their LEDs for 2012. 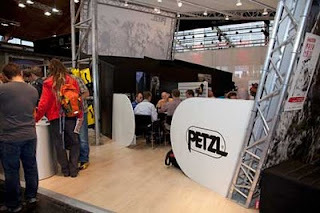 Petzl introduced the Reverso 4, which is an upgrade on their Reverso 3 belay device for the climbing market — the 2012 model is 30% lighter than the Reverso 3. The Micro Traxion hauling pulley is a locking system that can haul another climber or bag from one side of the pulley and locks off on the other side. It weighs merely 85gm. The Micro Traxion pulley is a smaller version of the Mini Traxion pulley previously introduced by Petzl. 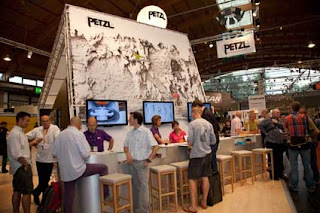 Petzl also showcased their latest ice climbing axe, the Sum’Tec, which is an axe that sits between the range of technical climbing axes and basic trekking axes. The Sum’Tec’s axe-heads can be interchanged, which is a new innovation for Petzl.